We’re just over the moon for designer Janie Molster! 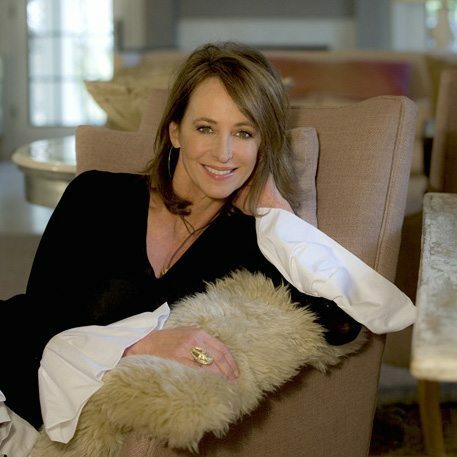 A creative force to be reckoned with, Janie’s residential and commercial work has been featured in amazing publications, such as Traditional Home, Southern Living and Renovation Style. And it’s easy to see why–her mind works differently than any designer we’ve ever seen. Just look at how she transformed this huge, expansive space into not just one room, but two! With her knack for incredible space planning, Janie made this space the perfect split dining room and living room area. Let’s dive in and reveal the tips and tricks behind the magic she pulled off in this living room! Because this room is not a photograph or “real” location (it’s all done on the computer! ), we were able to give Janie total creative freedom! We said, “Design anything you want – do whatever you have been dying to do – the sky is the limit and you can pick any location in the world!” Watch as Janie explains her thought process behind designing the foundation of this stunning and very large coastal space! Fascinating! Just look at this living area! We love how Janie pushes it to the max by fearlessly combining so many different materials: linen, wool, velvet, ceramic, glass, lucite, every kind of wood-if you can imagine it, it’s here. While the furniture is grounded in neutral tones, she splashes in pops of red, fuchsia, deep oranges, and roses in the accessories, as well as a variety of textures to keep things interesting. Janie explains the layout of the room and why this living area works so well! A true master of space planning and textiles, we know you will love seeing how her brilliant mind works! The furniture in this space grounds the room with simple, neutral tones. But hey–neutral doesn’t have to mean boring! We love how the black Arne Jacobsen chair instantly lifts the space with a modern nod, while the metal knob chairs give a bare-bones, industrial feel to complement the round table and simple sofa. Our favorite part about the furniture? The layout! Setting one of the chairs at a slight angular tilt adds such a subtle twist to the typical sofa and two-chair L-shaped format. Love! With the furniture lending a “clean, blank canvas” foundation for the room, Janie takes the opportunity to reveal her design flair through eye-catching details that truly pop. Going for even more modern touches, she chose local Richmond artist Lindsay Cowles‘s stunning abstract expressionist piece above the fireplace and then complements it with the funky totems on the mantle by Julie Silvers. Bold printed pillows and rugs with fuchsia accents add a burst of energy, with the color making another appearance in the elegant flowers found in the art and (believe it or not, FAUX orchids!!) To soften the industrial vibe, Janie layers the space with every textile you can imagine. This is the work of a deft design maven!